For many meat-lovers, the thought of sitting in one place whilst a waiter brings forth an endless supply of chicken, lamb, and beef, is enough to create a cloud of froth and drool at the mouth. No doubt, there was once a time when such a concept would have been feasible only in paradise, and it’s one of the many reasons why carnivores would ignore the health warnings behind excessive red meat consumption, and eagerly look forward to the afterlife. 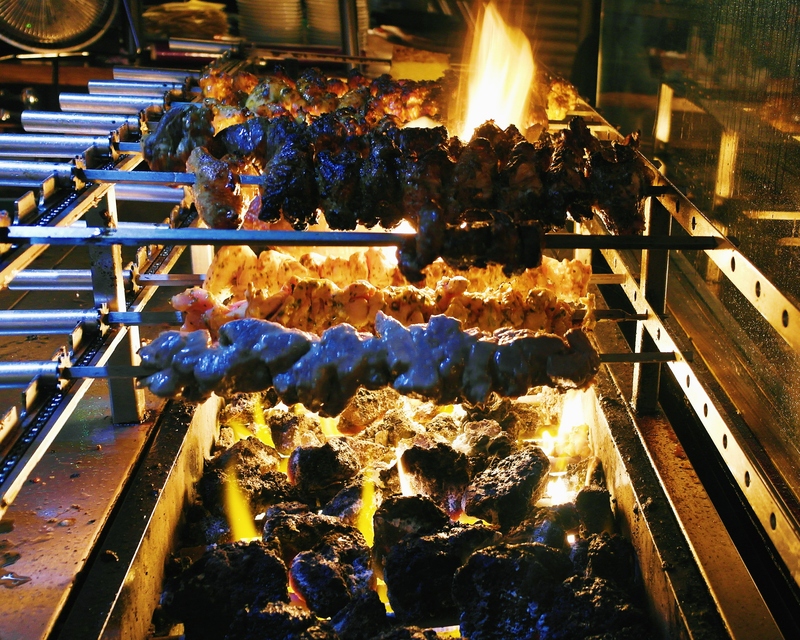 In recent years however, London has seen the birth of a number of halal Brazilian Rodizios, making this seemingly divine luxury that much more accessible. Taking after Nabrasa in Uxbridge and Jantar in Tooting, Carne Cabana entered the picture in 2016, with a brand new Rodizio restaurant in Bethnal Green. At long last, it seemed as though meat-eaters across the capital could finally have an all-you-can-eat-meat-feast, without having to die. (At least, not until the end of their meal). Sadly however, reality has a way of bringing high hopes and vivid dreams crashing back down, and my experiences at both Nabrasa and Jantar were terrible to say the least. Scarred to this very day, and instilled with an aversion to “buffet-style” restaurants, I found myself rather reluctant to pay Carne Cabana a visit. 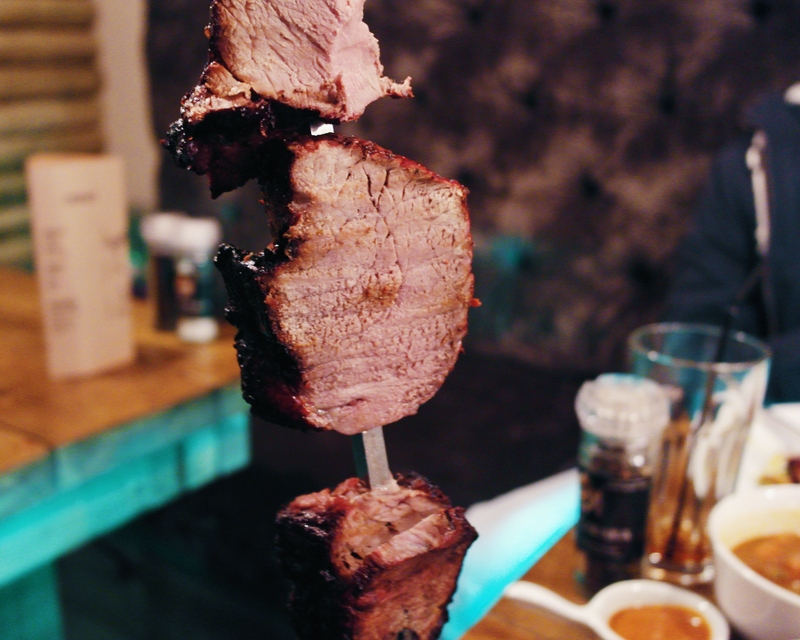 But, as the positive testimonials continued to roll in, I decided to bite the bullet, and see whether the minds behind Carne Cabana had finally created a successful Brazilian Rodizio. 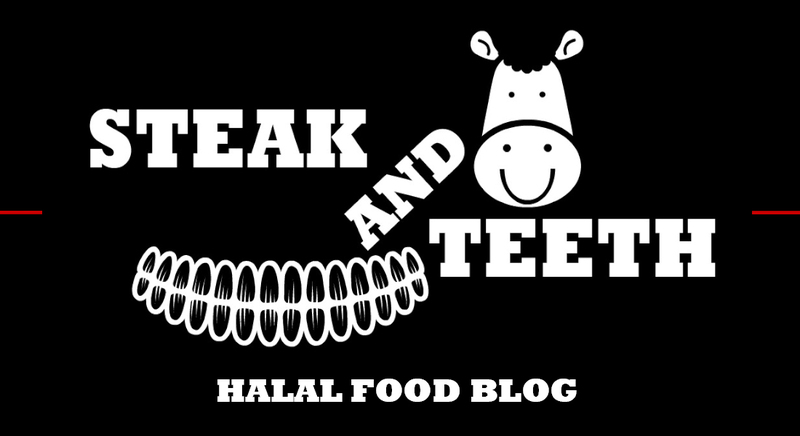 Note: All the meat served here is certified halal (HMC-certification). As we settled into our seats, our friendly waitress proceeded to explain the mechanics of the restaurant. We would each get a choice of three sides and a soft drink, and thereafter, be welcome to press the shiny “meat” button in the middle of the table. At first glance, the whole thing seemed like an MI5 sting operation to incriminate “trigger-happy Muslims”, but our waitress assured us that it was simply a “go” signal to summon as much meat as we could handle. After glancing over the fairly hefty selection of sides, we opted for a mixture of carne chips, chicken balls, beef stew and chicken and beef rice, creating a spread that was certainly impressive. (Though perhaps only in a visual sense). The carne chips were soft and fairly thick, but the dry mincemeat that sat on top was bland and unexciting – as were the unremarkable bowls of beef stew and chicken and beef rice. Thankfully, the chicken balls fared far better, with a soft and thick filling of chicken and potato, encased in a breadcrumb coat. However, this coat could have been a little crispier in texture. 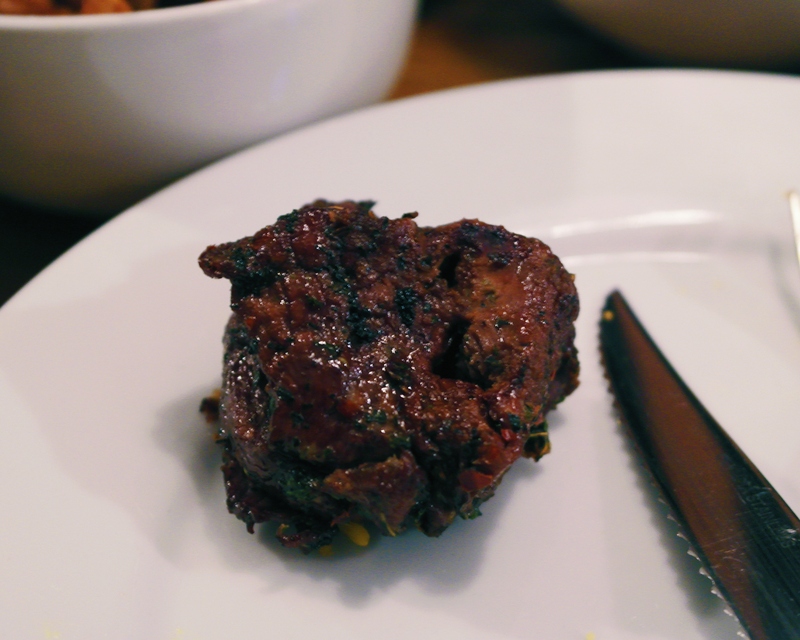 A skewer of lamb was the first to be delivered to our table, and this proved to be the only decent cut of the night. Cooked to medium, the lamb was thick, tender, and flavoursome, and carried a subtle sweetness in its aroma. Next up, came a skewer of chilli chicken wings, which were crispy, tender and covered in a dry spice rub, resulting in a pleasant and subtle kick. 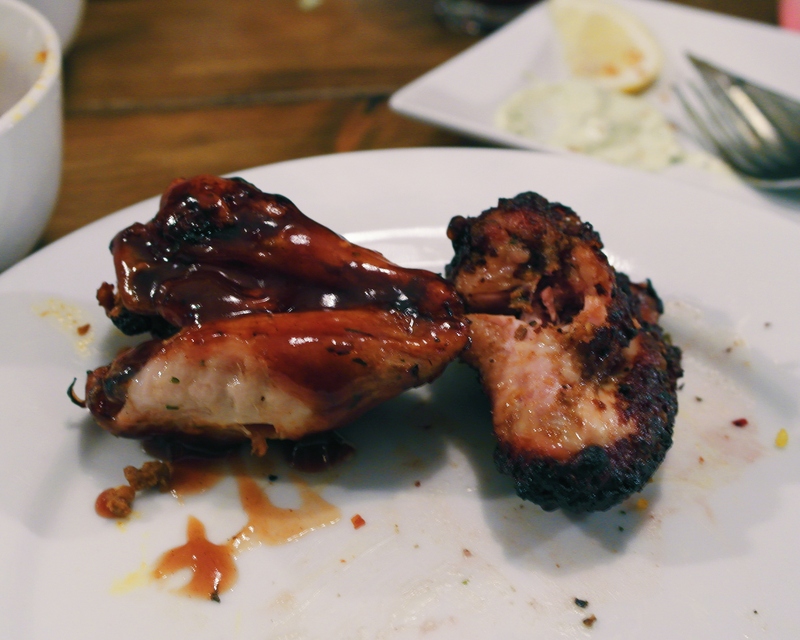 This was followed by a skewer of barbecue wings, which came covered in a rich but balanced barbecue sauce. Just as my belly began to demand more red meat, our waiter popped by with a skewer of rump. Sadly however, whatever trace of “red” there had been in this slab of beef had been well and truly obliterated. If the double-barreled term of “Well-done-Well-done” has yet to be patented, one should hope that Carne Cabana takes the opportunity to do so, as this slice of rump was perhaps the most overcooked piece of meat that I have ever come across. What’s worse, is that it had not been seasoned in the slightest, resulting in a dry and desiccated texture, and a level of “bland” that one would expect to find in a living room carpet. After putting down my cutlery and wondering where the salt and pepper had gone, I quickly found an answer when the next skewer arrived. Purported to be the chilli beef (not pictured), I took just one bite before throwing every dental principle out of the window, and rinsing my mouth out with coke. 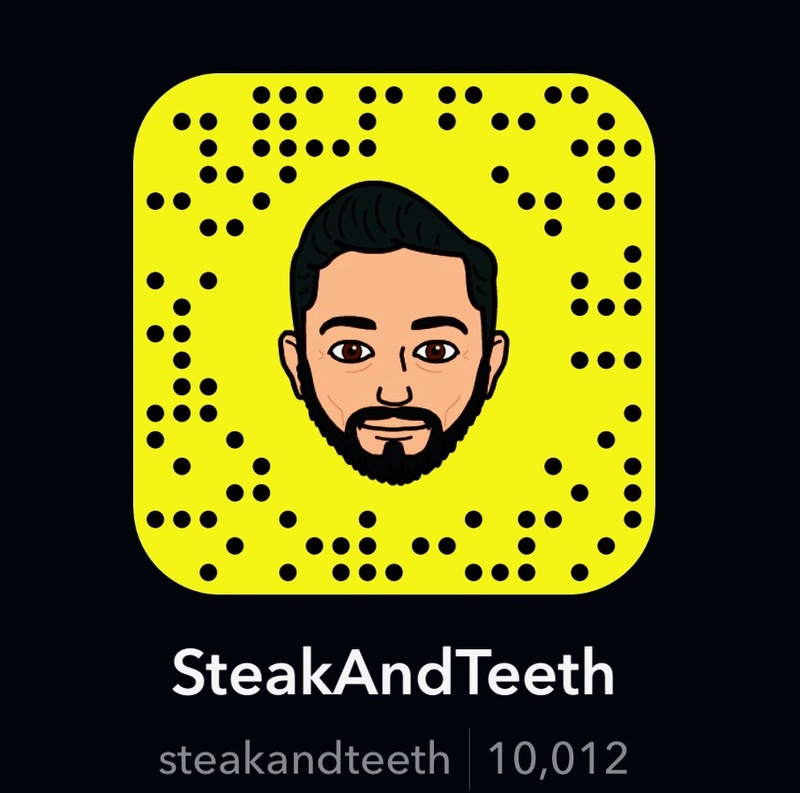 Not because the beef was exceptionally spicy, but because it gave my tongue a good idea of how a slug feels when you bury it under a tablespoon of salt. Having received a perfect demonstration of the two extremes of under and over-seasoning, we decided to call it a night, and quickly turned our lights back to “red”. The cost of this hit-and-miss feast is £21.95 for a fully-grown adult, (and for semi-grown ones like Steak too), and £9.95 for children under the age of 12, whilst those under the age of 3 can eat for free. (Unfortunately, mental age is not taken into consideration). This single price includes the three sides and one soft drink, whilst mocktails and milkshakes will require you to cough up a few more coins. At first glance, this may seem like a perfectly reasonable sum for an endless supply of meat, but, as is the case with any “all-you-can-eat” restaurant, this is nothing more than an illusion of value. 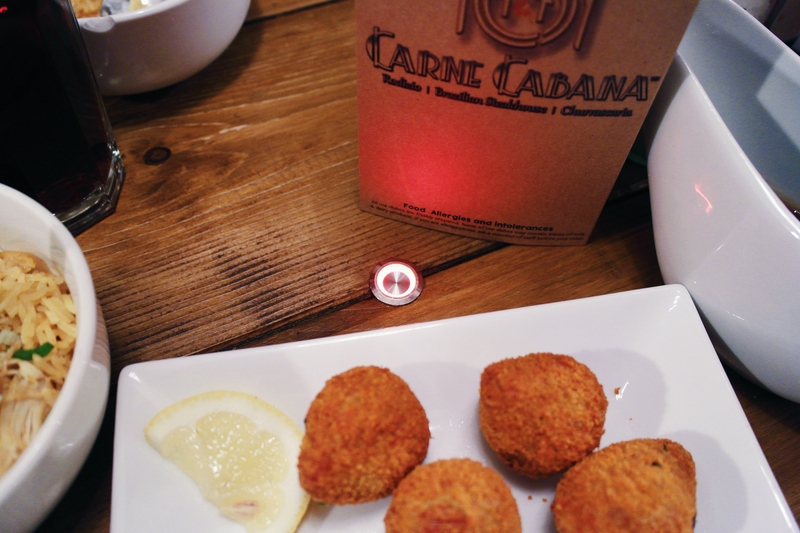 The quality of both the meat and the side dishes at Carne Cabana is low to average at best, and the selection of meat is limited to about four or five skewers. What’s more, it’s worth bearing in mind that with each “course”, all you’re really receiving is a small scrap of meat. As such, it’s not so much a question of “how much meat can you eat?”, but rather, “how long can you sit and wait before you get bored?”. Frankly, if you’re after a large volume of meat, you’d be much better off spending the same amount of money (or a few pounds more) on a sizeable, quality cut of steak, or even a simple mixed grill. Should you still wish to dine at Carne Cabana, you can expect to find polite and friendly staff members who will do their best to accommodate to your requests. However, during the course of our meal, there were quite a number of moments where the staff were either absent or inattentive, and given that the restaurant was pretty empty when we visited, there was no real justification for this slow service. Inside, you can expect to find a simple but suitable decor, composed almost entirely out of unassuming timber. Whilst this may sound like a fire hazard, you can take comfort in the fact that there are plenty of smoke alarms dotted around the restaurant. (I know, because they all blew a hole in my eardrum as soon as I pressed the “meat button”). The dining space is spread over two floors, both of which feature a mixture of wooden furniture, comfortable booths, and a number of nods to Carne Cabana’s South-American inspirations. 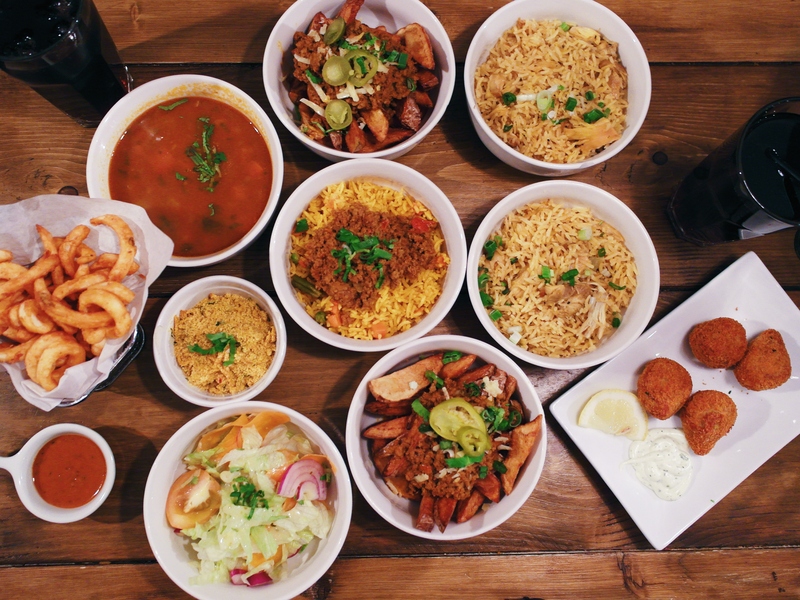 The restaurant can be found a ten-minute bus ride away from either Shoreditch High Street, Bethnal Green, or Liverpool Street stations, and parking spaces are relatively easy to find on both Bethnal Green Road, and on nearby residential roads. Whilst in principle, the idea of an “all-you-can-eat meat-restaurant” is probably the best idea there ever was, this euphoric dream quickly disintegrates when it comes into contact with reality. The sad truth is, that it’s just not financially viable to serve an “endless supply” of high quality meat at a budget buffet price, and Rodizios across the capital often rely upon inexpensive meat to make up the money. Inevitably, this results in an exceptionally underwhelming dining experience, comprised of tough scraps that are either poorly-seasoned, grossly overcooked or both. After two terrible experiences at Nabrasa and Jantar, I was very much hoping that Carne Cabana would prove me wrong, and obliterate my vehement disapproval of buffet-style restaurants. Instead, they obliterated my taste buds, and convinced me once and for all that “Rodizio restaurants” and “high quality food” are mutually exclusive terms. Dare I say it, if I had a choice between visiting another Rodizio and a strictly-vegan restaurant, I would sooner choose the latter, and become the very cattle I so lovingly eat.